The ‘Circle One Portrush Open’, to be held 27th– 28th October 2007 in Portrush, Northern Ireland, is a brand new event, the 7th of 8 UK Pro Tour competitions being held this year at some of the best surf venues in the country. For the first time ‘Circle One’ will be the main sponsor of a professional surf competition- a ground breaking new tour venue, the first ever seen in Northern Ireland. 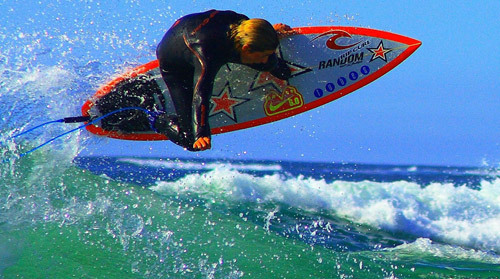 Dave Reed, Director of the UK Pro Surf Tour states,” Expanding the tour further a field up from Thurso, Scotland and overseas to one of the most scenic countries alone and more challenging waves opens such an array of opportunities for our field of international athletes on tour. With great support from our main event sponsor, Circle One, this leg of the tour is expected to be a success”. (Sep. 16th Zarautz, Basque Country – Spain) Aritz Aranburu (EUK) won the first edition of the Zarautz Pro Surf 3 Star WQS event this afternoon in his home village of Zarautz, giving the thousands of spectators an intense surprise. Always consistent throughout the four days of competition, the Basque surfer confirmed his favourite status with his current World Qualifying Series 11th rank. Starting slowly in the thirty-minute decider Aranburu faced an impressive level of surfing from his closest opponents Marlon Lipke (DEU) and Shaun Gossmann (AUS). Posting an excellent 8.27 pts ride halfway through the battle, Aranaburu waited not more than three minutes before catching up with the german leader and powerhouse surfer Lipke when he secured another excellent 9.07 single wave score to post the second highest two wave combined tally of the event with 18.00 points out of possible 20. LOWER TRESTLES, California (Saturday, Sept. 15, 2007) – Reigning and 8X Foster’s ASP World Champion Kelly Slater (USA) has won his first event in over a year, moved to current World No. 2, and broke a world record after beating Pancho Sullivan (HAW) in the Final of the 2007 Boost Mobile Pro presented by Hurley today. The victory marks Slater’s 34th ASP World Tour win and earns him the record for the most elite tour event victories in history. Former three-time ASP World Champion Tom Curren (USA) set the record with his 33rd event win 16 years ago. Slater tied Curren with his 2006 Bells Beach victory and, despite featuring in four finals in the 16 months since, hadn’t broken the record until today. Slater has been in the last four Boost Mobile Pro finals. He finished runner-up in 2004 and 2006, and claimed wins in 2007 and in 2005. His win today puts him 230 points behind Foster’s ASP ratings leader Mick Fanning (AUS) and has positioned him as a strong contender for the 2007 World Title. Sullivan, who is into his sophomore year on tour, posted his best result to date with his runner-up finish to Slater. The powerful Hawaiian was a standout performer on the final day of competition, besting Neco Padaratz (BRA), Troy Brooks (AUS) and Jeremy Flores (FRA) on his way to meeting Slater in the Final. He needed a medium-scoring ride – a 6.98 – to take the heat from Slater. Sullivan has jumped eight spots from World No. 16 to World No. 8 with his runner-up finish today. Flores, 2007 Foster’s ASP World Tour rookie, put in a stunning finals day performance, attacking the roping Lowers righthanders with style, punch and bite. The Frenchman dispatched of Rodrigo Dornelles (BRA) and C.J. Hobgood (USA) en route to his first career Semifinal berth and 3rd place finish. Despite going down to Sullivan in the Semifinal, Flores has jumped to 9th on the Foster’s ASP World Tour – a move that puts him as the highest-rated rookie on the 2007 tour. Kai Otton (AUS) and Ben Dunn (AUS), rated 18th and 19th respectively, are his closest ‘Rookie of the Year’ competition. Tom Whitaker (AUS) had to fend off countrymen Shaun Cansdell (AUS) and Ben Dunn (AUS) to meet Slater in the Semifinals, but the fleet-footed Australian was unable to match the Champ’s prowess. Whitaker’s equal 3rd finish today is a far cry from the two 33rd (last place) results he posted at the two world tour events previous to the Boost Mobile Pro. He’s moved to World No. 15 after the result. The next stop on the Foster’s ASP World Tour will be the Quiksilver Pro France running from Sept. 20-30, 2007. 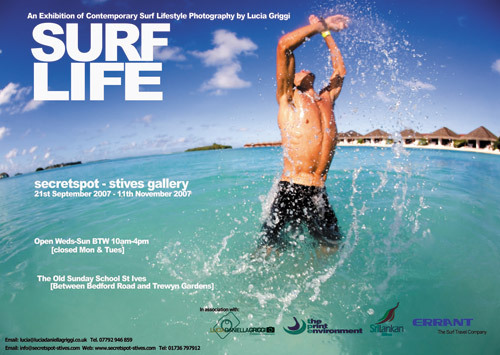 For more information, log on to www.aspworldtour.com. MARLON LIPKE (DEU) AND PAULINE ADO (FRA) WIN MOVISTAR PANTIN CLASSIC ! 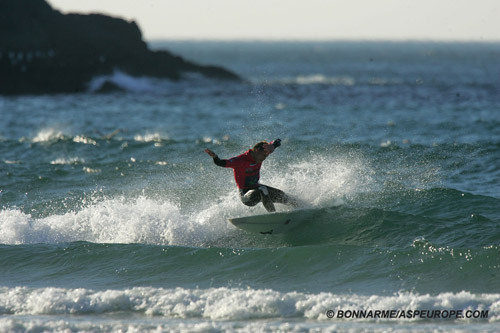 LEE ANN CURREN (FRA) CLINCHES 2007 WOMEN’S EUROPEAN PRO SURF TOUR TITLE ! LIENCRES, Spain (Friday, Sept. 7, 2007) – 2004 ASP World Champion Sofia Mulanovich (PER) stepped up to the poduim’s highest block at the Rip Curl Girls Festival in Liencres today, when she defeated Silvana Lima (BRA )to win Stop No. 4 of 7 on surfing’s elite ASP Women’s World Tour.